nak inner strength is a leave-in protein treatment and body builder that strengthens from the inside-out. 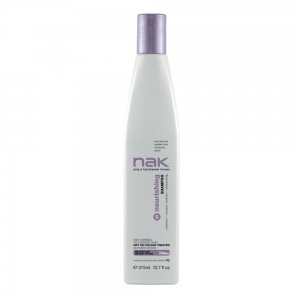 Containing nak's unique Bio-Marine complex this treatment will help to re-bond and restructure your hair. Strengthens and re-enforcing the cuticle layer for thick, full and smoother looking hair. Directions: Spray into clean towel-dried hair and leave in. Style as desired. l've just bought this product and l can already feel the difference. My extremely 'fly away' hair is more manageable and has weight to it - bliss!